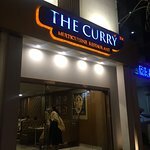 Description: The Curry is a multi cuisine restaurant that showcases the vibrant cuisines of North India, South India, China, Japan, Thailand and Mexico. 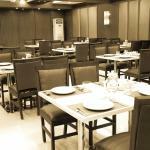 This classy restaurant at Gopinivas Grand offers lip smacking food delights for all the guests visiting the hotel. Excellent service, authentic flavours and remarkable dining experience are the major highlights of this distinctive restaurant. 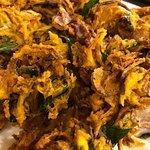 Some of the best Indian chefs are been appointed to serve a wide variety of dishes for the guests. Good was very good tasty and worth. The breakfast was very good quality and hygiene. It's worth for spent money. Very neat and clean restaurant. 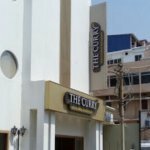 We visited The Curry during our two day visit to Kanyakumari. We visited this place after finding it on the Kanyakumari's best restaurants list on Tripadvisor. The ambience at the restaurant is classy. 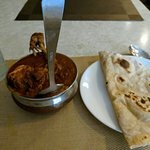 We ordered rotis, and malai kofta, but there was no malai(sic), chicken 65 was good. The quantity of food was very less, prices are on the higher side. Taste was decent like many other restaurants which we tried in the vicinity, but the prices were comparatively less. We would have really appreciated if they had accepted cards, they have the card facility however did not accept cards. All they said was network issue. Strange that almost all the places nearby had the same complaint when given a card for payment. 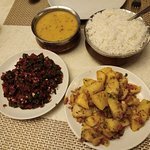 The dinner and breakfast was an ezcellent, tasty and also a hygienic food. 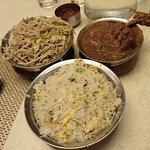 The Curry Restsurant is one oc fhe best restaurants in Kanyakumari. Coffee only at a specific time of the day? 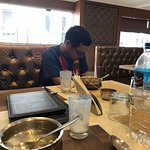 Very Indian restaurant. The food was tasty. As European travelers, we wanted black coffee for dessert. It wasn't possible because it was an afternoon?! Good food and yummy...enjoy food. Staffs were privided good service. Quality and tasty foods are avaialble. 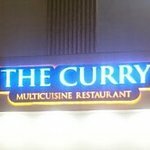 Been to The Curry? Share your experiences!